Caz couldn't resist these sweet little birds and 'smile' title from Carolee’s Adorn-it range when she wanted to scrap this photo from her daughter's recent photo shoot. She teamed them up with some of the pretty papers from the Misty and Vintage ranges, some felt and some tiny pieces of bling. 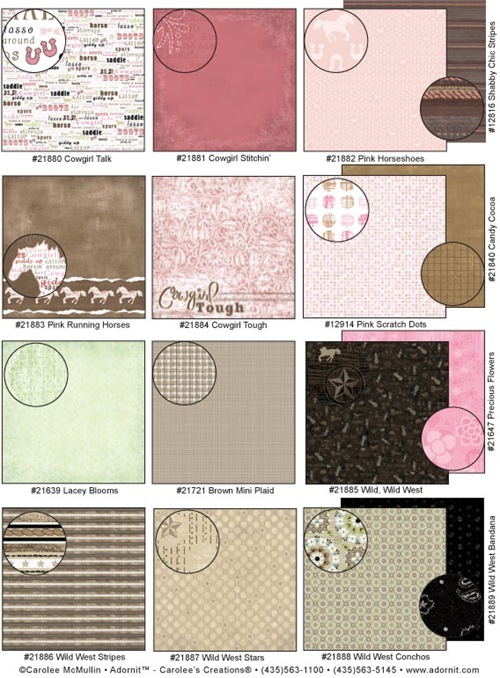 Carole just loved the new Carolee Creations "What a Hoot" Collection, such funky patterns and colours and totally cute owls, you can create any fun layout you like with this collection. 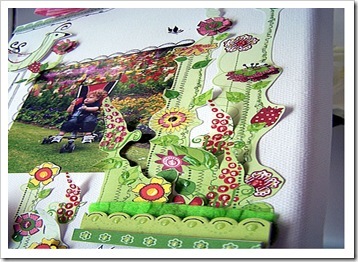 Carole used the gorgeous pattern papers and Stickers and then teamed it with some Twiddlybitz chipboard Fencing, Prima flowers and some bright buttons. 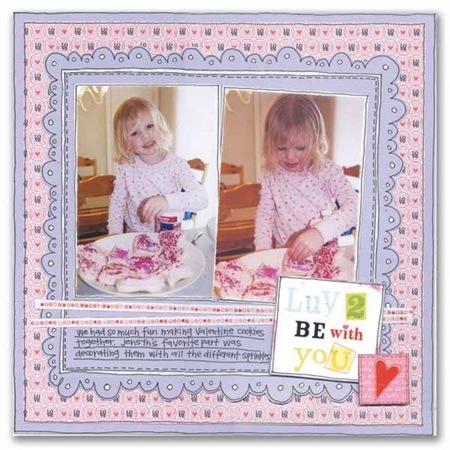 Carole also created this gorgeous card which would brighten anyone’s day with the leftovers. 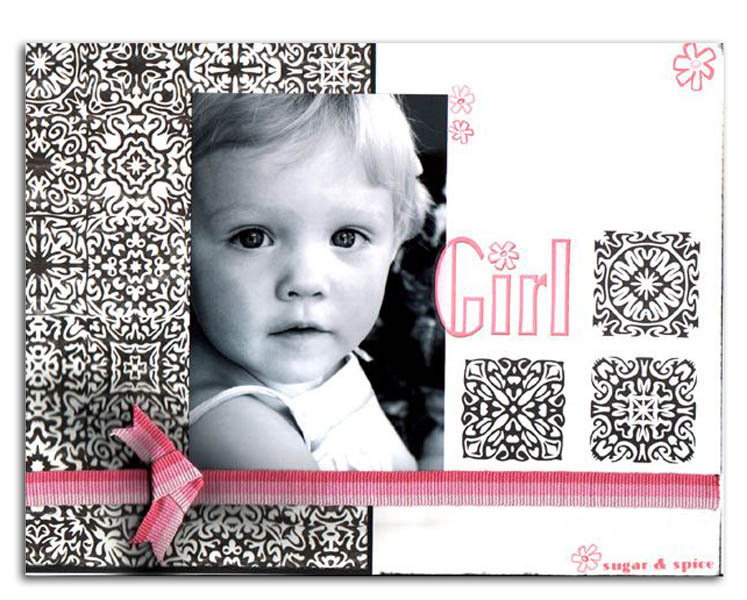 This absolutely gorgeous layout was created by Robbie from Texas using the Carolee’s Misty range of papers and embellishments. To quote Robbie from her blog, "I always love working with a collection that is so versatile and yet perfectly suits my own style. 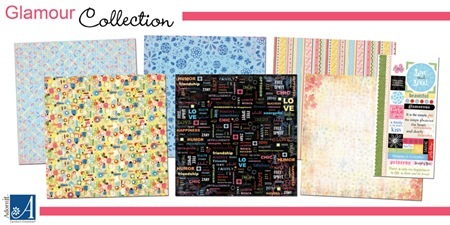 The colours in this collection are really rich and beautiful". They sure are, thanks so much for allowing us to share Robbie. 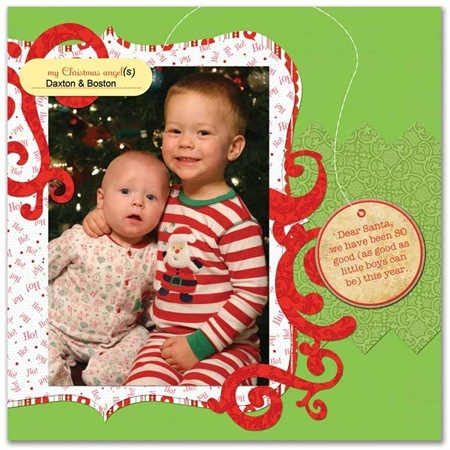 A big thanks to Liz from Colorado for allowing us to share with our readers these pages of her gorgeous children using two of the Carolee’s Adorn-it ranges. 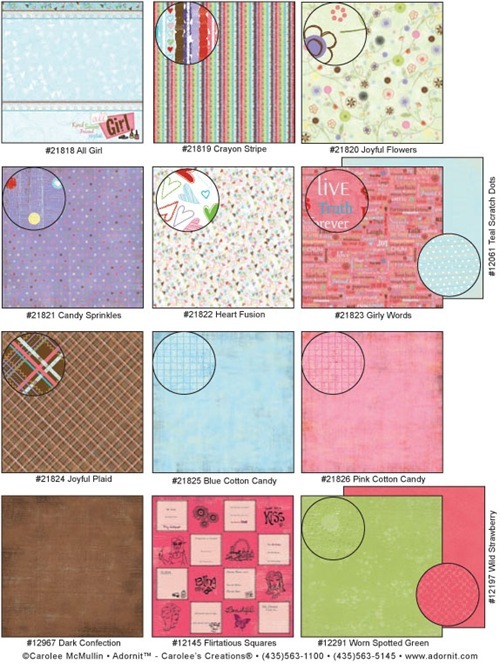 The first layout features one of the newest ranges from Carolee’s called Life's a Hoot. There are pink and blue versions of the papers and embellishments. 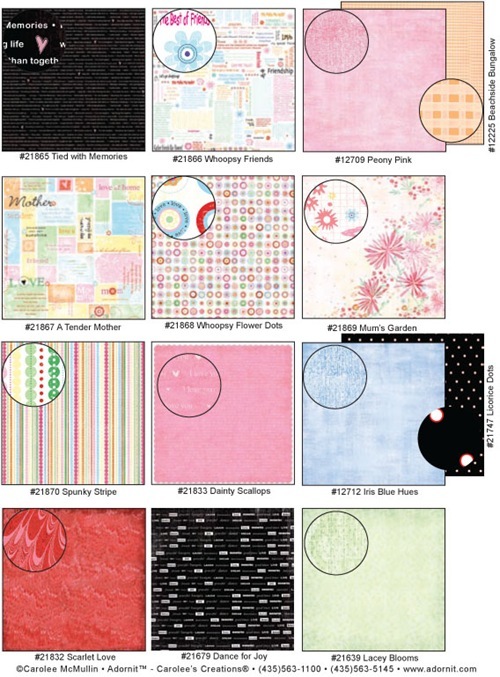 The layout uses the bright fun loving Misty range. 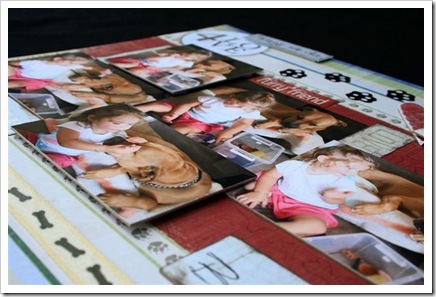 Janine chose to mix and match a few different pieces of Carolees paper together to create this page. 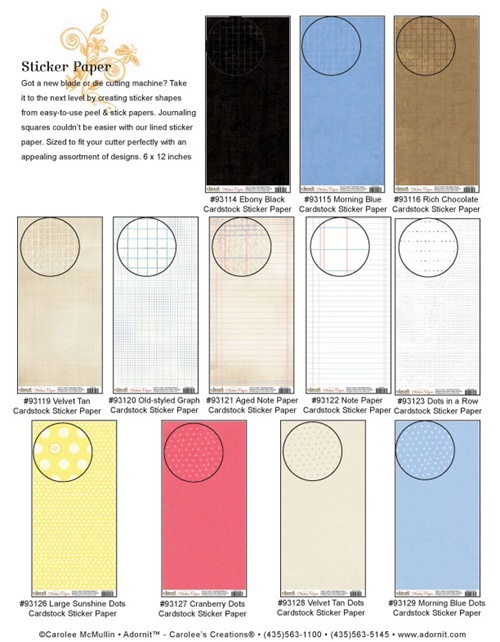 She used the Bird branch paper as her starting point and then chose other papers that would work with the colours in it. 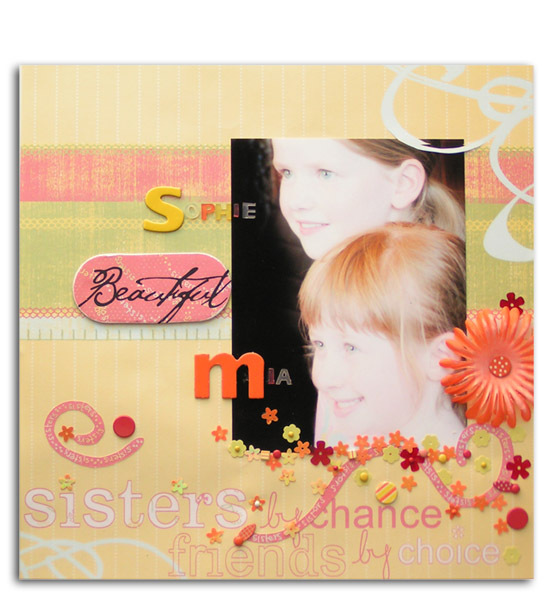 She also wanted to add more depth to the layout so she incorporated the vellum stickers to help add layers. 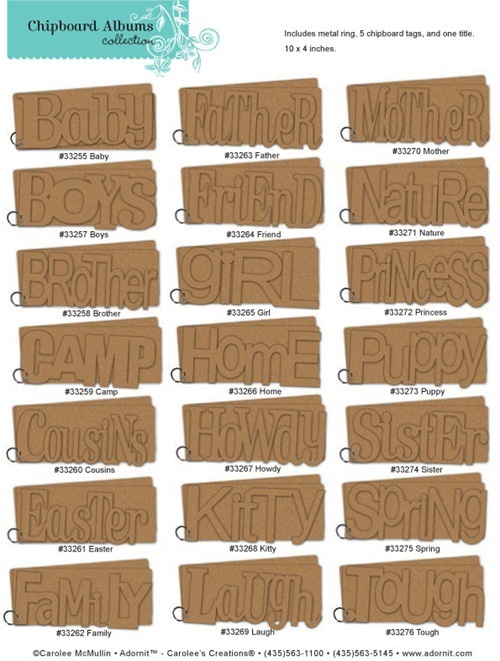 Janine loved the fun foam alphabet as well, the font was eclectic and fun to use. 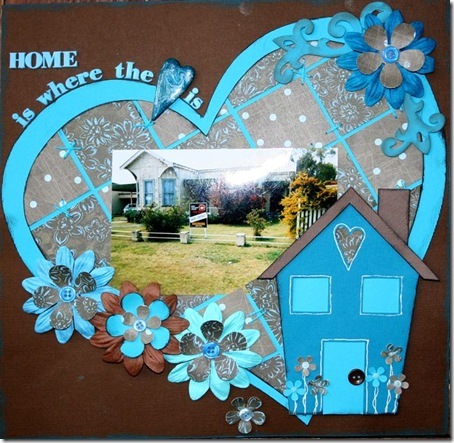 She finished off the page by adding a touch more texture with Twiddleybitz chipboard and some Webster’s lace trim for a fun and vibrant page about her house being full of both children and love. 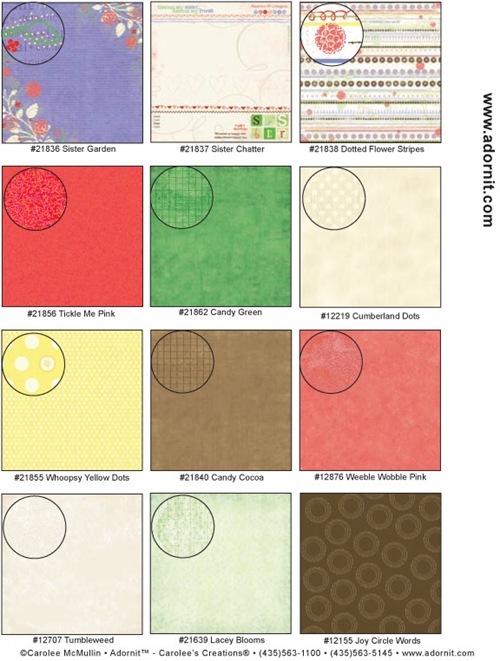 Suz loves that Carolee’s papers aren’t just pretty and pastel – there are heaps of fabulous and versatile themes in there. 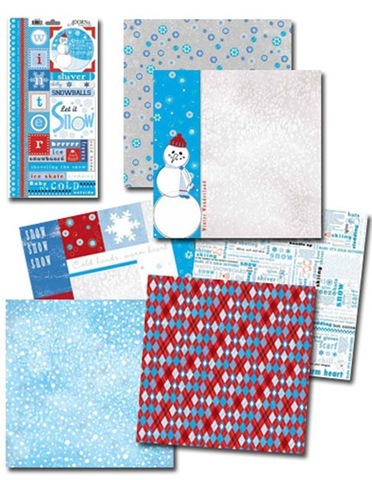 Now her son is getting a bit older (and apparently a lot cooler) her patterned paper needs for him have changed too! These papers were from the Rev’Em Up collection - technically a motor racing page, but because checkerboards are so in amongst scooter-ers, and flames are always ‘wicked’ these papers worked perfectly. 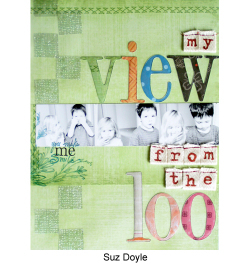 Suz kept it simple and bold and graphic and let the photos and the few embellishments do the talking. 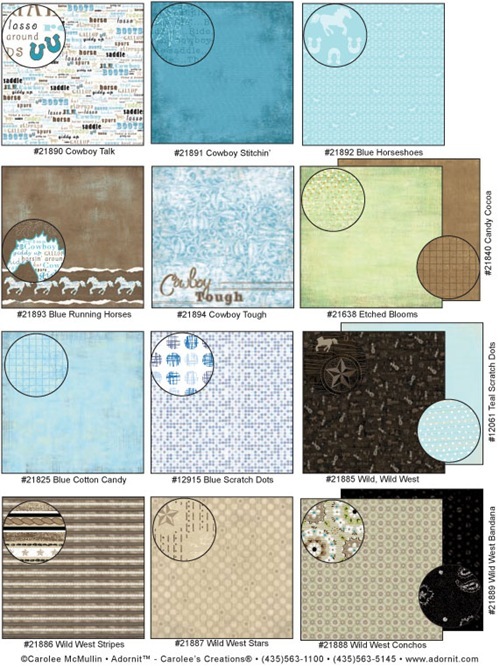 Above we share some layouts from Georgana Hall from Carolee’s Creations showcasing some of the gorgoeus new lines we’ll be bringing in over the next few weeks. 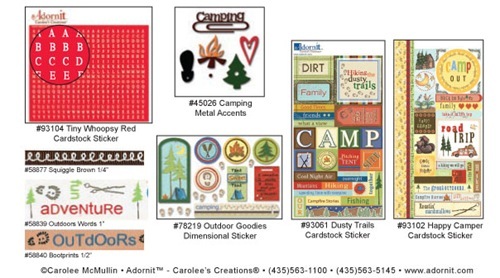 Creating themed pages for sport or family events can be difficult, but Carolees has so many papers that are perfect for these occasions. 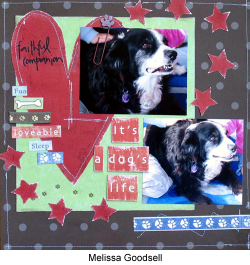 In this page Kylie Cornish has found the perfect match of paper for these photos and handcut the stars out of the paper, to emphasise her title. 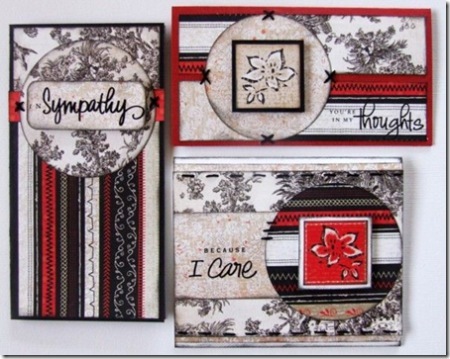 How adorable is this little card box and Card by Nora Grindheim. 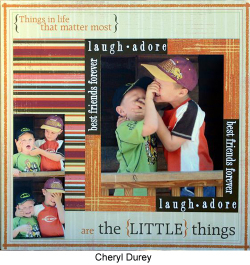 The cute little critter paper by Carolees Creations is perfect for such a cute little boy card and gift box. 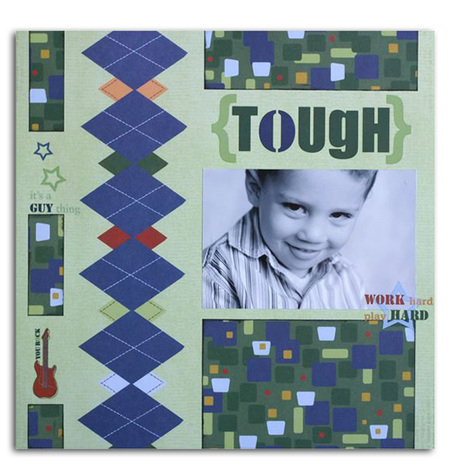 By simple matting with co-ordinating coloured cardstock a very striking result can be achieved. Using the new papers for this Christmas season from Carolee's Creations/Adorn It, Nicole created these quick and cute Christmas cards. 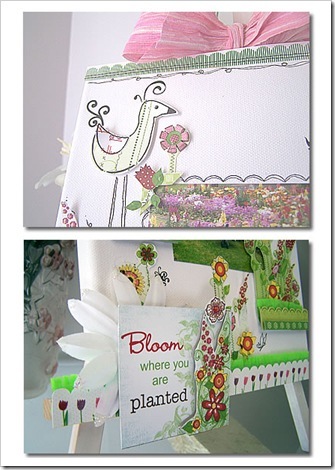 This card uses foiled lettering by We R Memory Keepers, more Carolee's "Elegance" stickers and a cute felt bird by Jenni Bowlin. 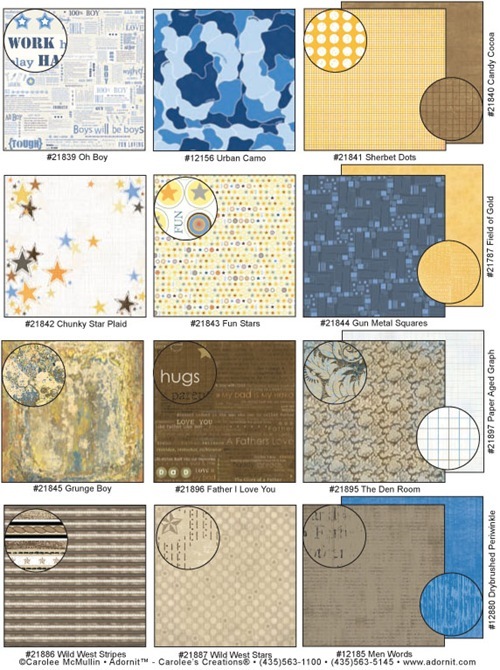 They sit on a strip mat of Magic Scraps texture paper creating not only beautiful colour but tactile appeal as well. 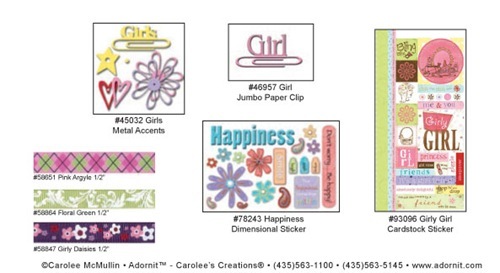 The card front left uses a mat of Carolee's "Swirly Wishes" paper and also the new "Elegance" stickers. 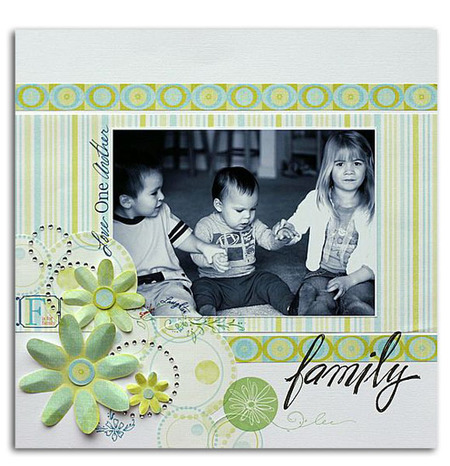 She layered some Glimmermisted Basic Grey chipboard under some letters by Tattered Angels and finished the card with a ruffled border of Jenni Bowlin crepe ribbon before rubbing over the lot with Distress Ink. 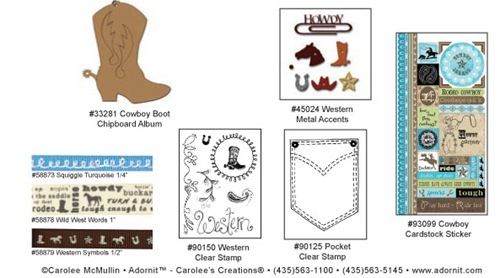 A card design easily replicated many times over. 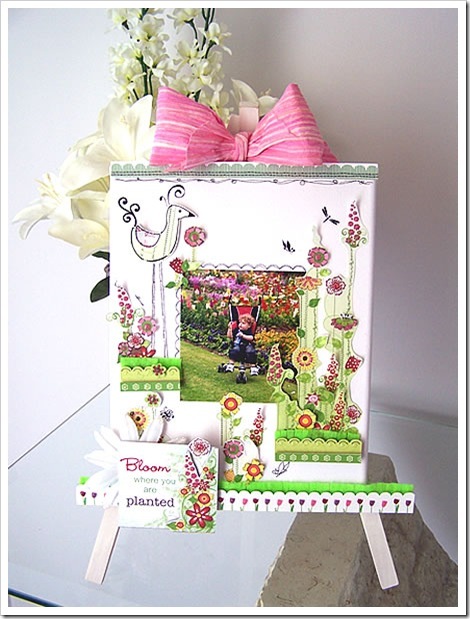 The third card features a little inchies frame and tree from Twiddleybitz. 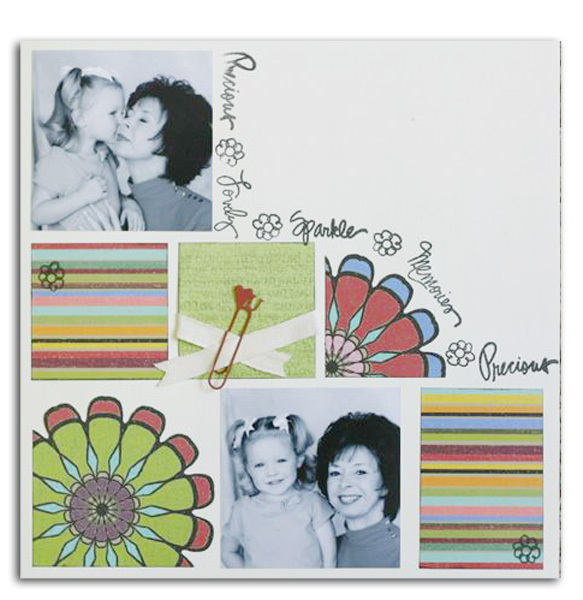 The mini trees and snowflakes come with these little frames and squares included and make the perfect little mini-mat for a card like this one. 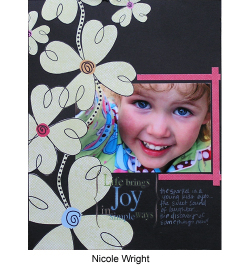 Nicole picked some of her favourite images from the Carolee's "Christmas Wishes" paper and created Inchies to go inside the mini-mat which she had painted with Twinkling H2Os. 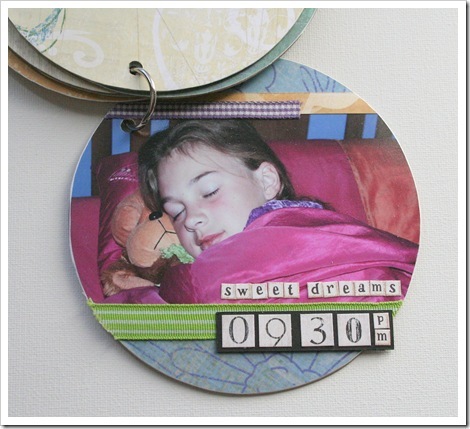 She finished by attaching the painted tree to the frame and layering the block on a Pink Paislee canvas tag over a strip of Webster's Pages lace. A smattering of Glimmermist, a Twiddleybits flourish, some rub-ons and pearls finished it all off. Slightly Vintage yet modern. 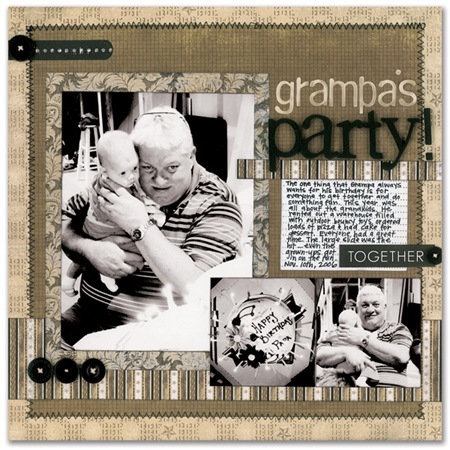 This delightful layout by Mel showcases the funky new 'Life's a Hoot' range by Carolee's Creations. 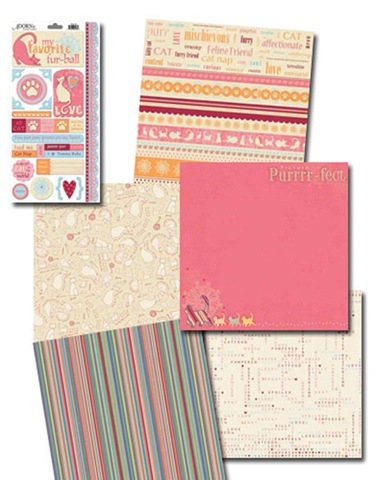 Comprising of patterned papers, ribbons and stickers the range covers a lovely warm array of colours. 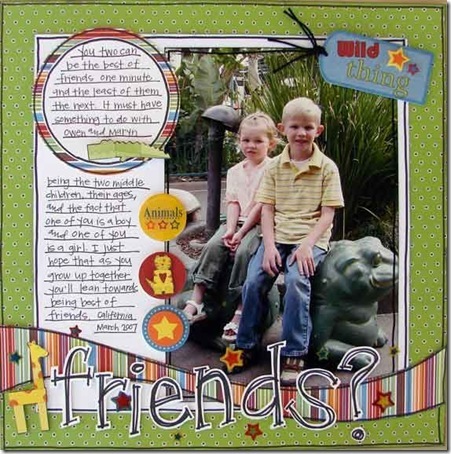 Mel has worked with a sheet of Owl Hoot B paper for her background and added a selection of stickers and also a strip of Hoot Stripe patterned paper to resemble the river in the photograph. 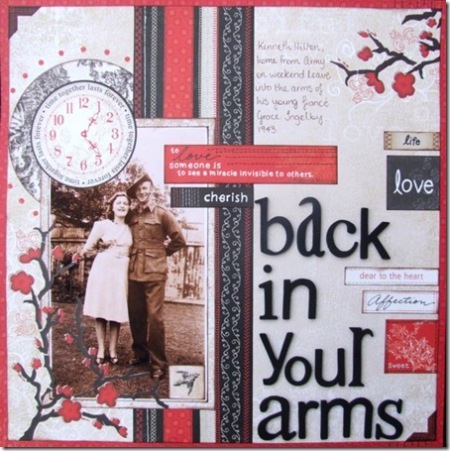 The sweet owl in the top right hand corner is by Hero Arts (Big Hoot) and completes the layout perfectly. This bright layout by Nic Howard combines new release Carolee's papers with some of the current ones, something Nic says she loves doing. 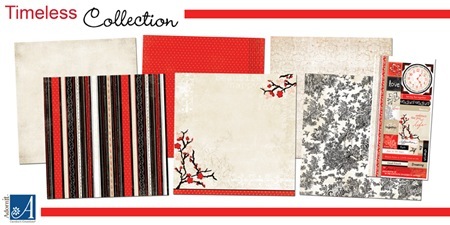 Nic loved the new 'Fern' range (also known as the Hoot range), but loved adding the bold colours of the Whoopsy Daisy collection as well. 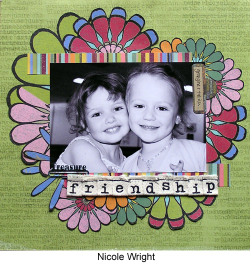 Layered and distressed in true Nic style, the middle border was created with Carolee's papers, Twiddleybitz bullrush border, Hambly transparency and invisibles butterflies from Heidi Swapp. 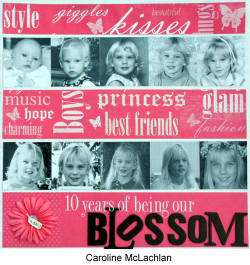 Nic finished her layout with a dimensional title, layering black Rose Moka letters, white BasicGrey alphas and Collage Press Camden blue lettering to finish. 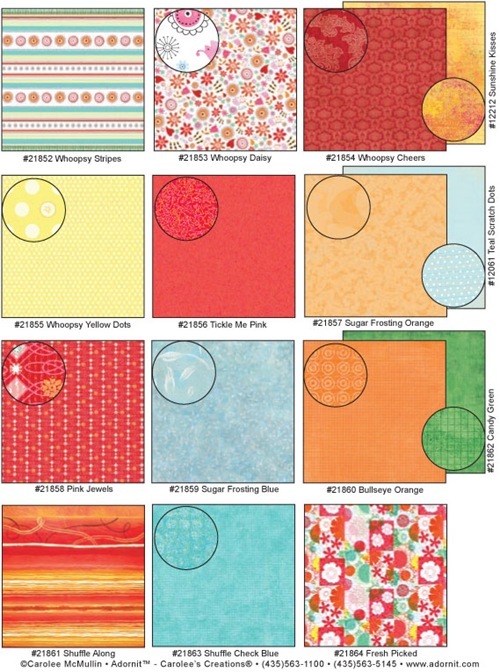 It was hard to go past this layout when we saw it online - so bright and cheery, using some of our favourite new bright papers from Carolee's. 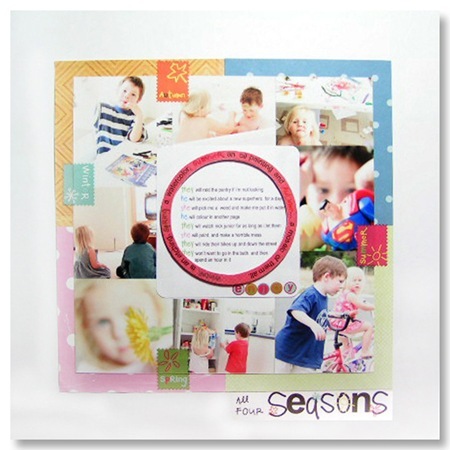 U.S. designer, Alison Lindhardt created this layout, thanks for letting us share, Alison! 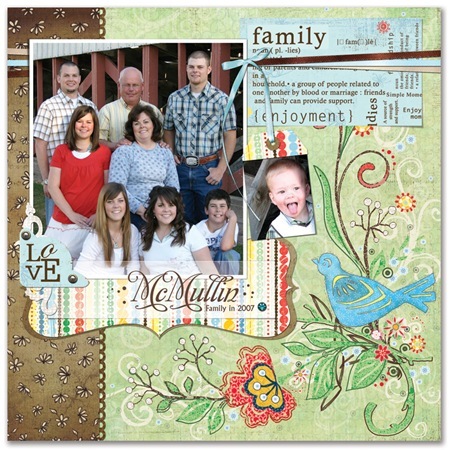 A gorgeous summer layout by Tammy Anderson. This layout combines a wide range of Carolee's papers and products, including one of our favourites - the foam alphabet. Thanks for letting us share, Tammy! Camping’s not for everyone (some of us need hairdryers!) but if you’re after camping theme papers,these Carolee’s ones are perfect. 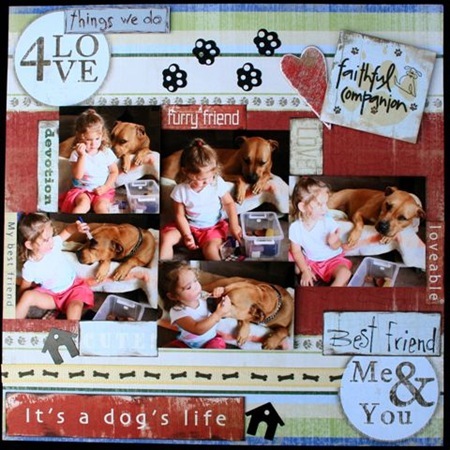 Debbie Raymond showcases them here in this fun layout. 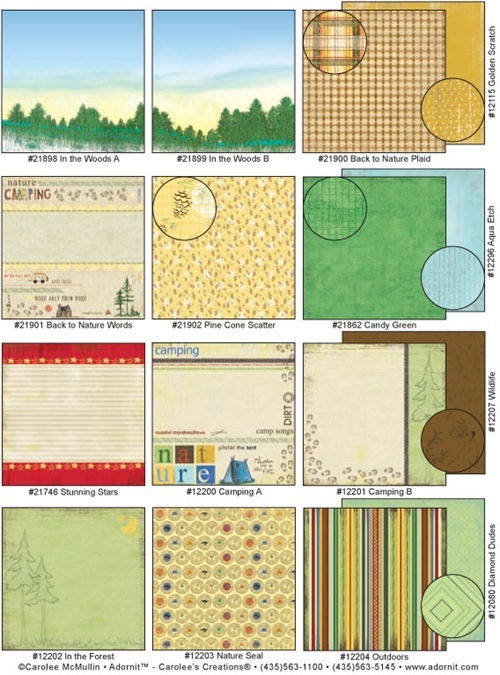 Another take on the fun camping papers by Alison Lindhart, who has transformed them into this gorgeous mini album. 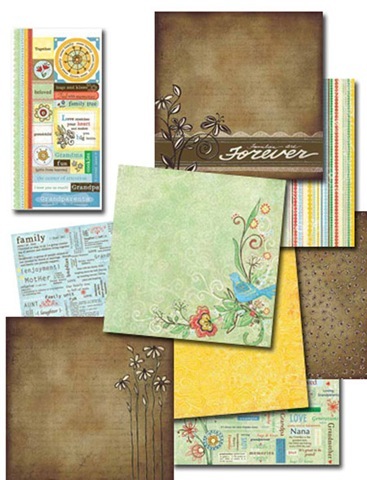 These lovely flowery papers were too pretty to go past, and we thank Jana Eubank for turning them into such a stunning layout. 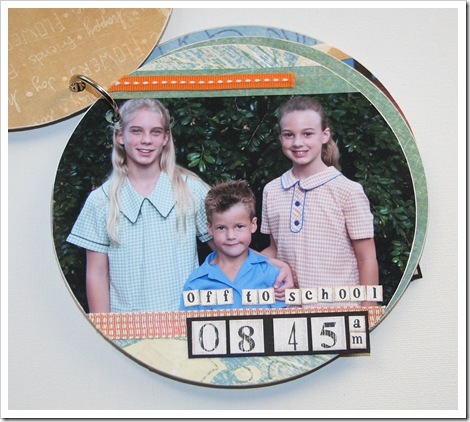 Love the contrast of the black ribbon against them – just perfect. 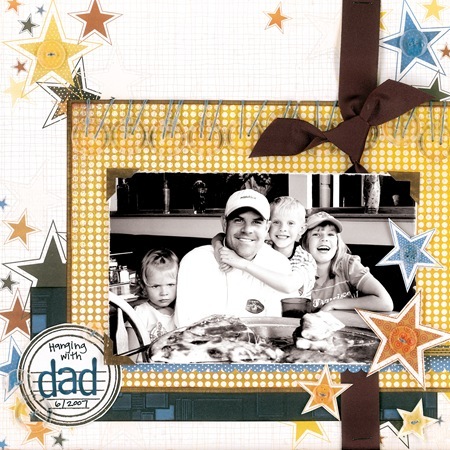 Also by Jana Eubank who shows us there’s no reason we can’t celebrate Dads with daisies! These are the Prairie, Wild Patch and Field of gold papers, along with the foam alphabet. 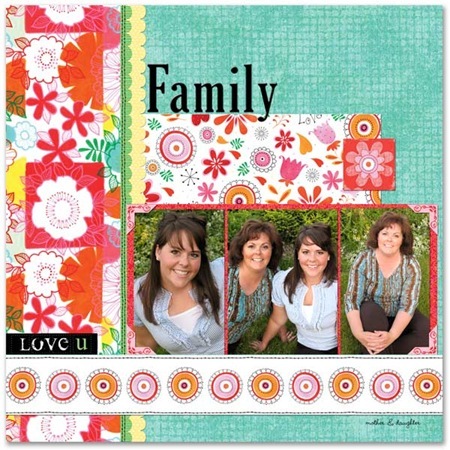 And how cute is this mini album by Lisa Day. 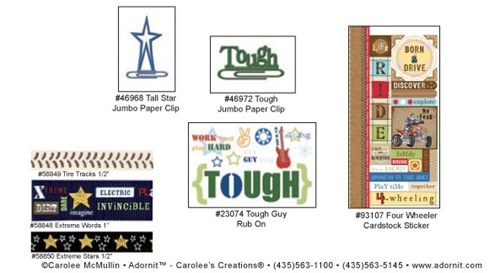 She uses papers from lots of different Carolee’s ranges – we love how they all work together. Georgana Hall uses Snow papers that are almost as cute as her photographs in this fabulous double layout. 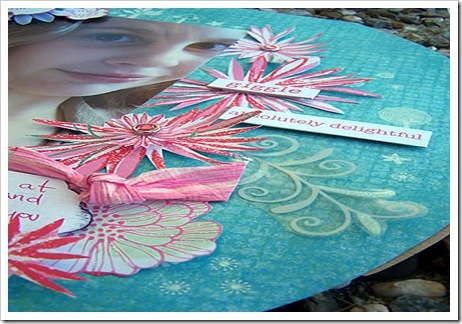 And a final beautiful page again from Jana Eubank using Sugar Frosting Papers and 3-D Family Stickers. Thanks to everyone for allowing us to show your projects here. 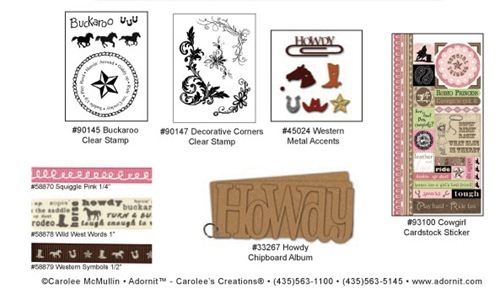 We love Carolee's Creations. 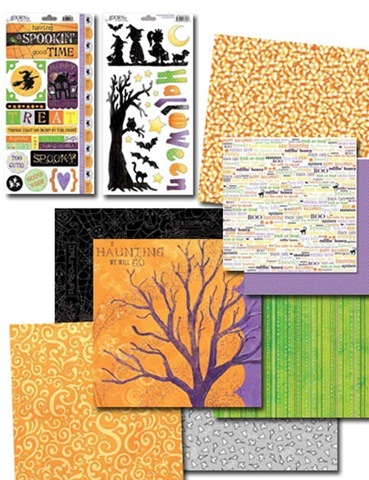 She always seems to stay close to the essence of what scrapbooking is. 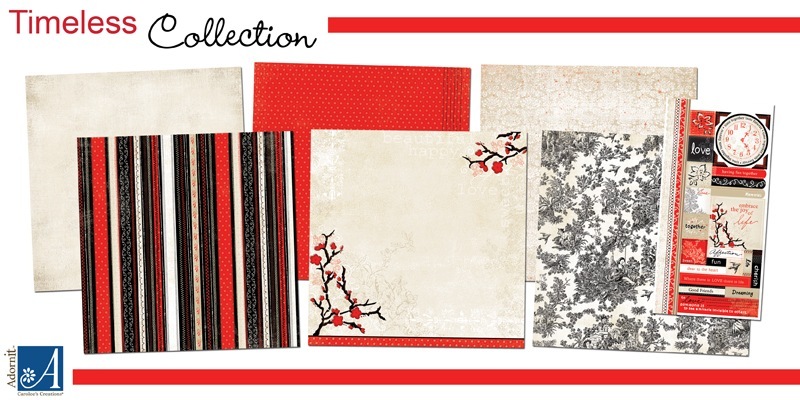 Six beautiful new ranges that promise never to take centre stage away from your photos! 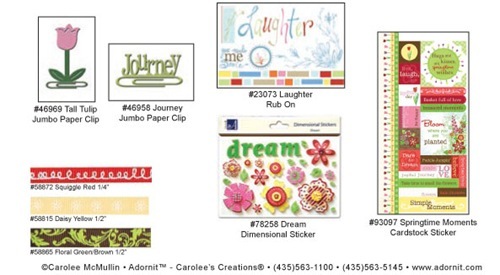 The amazing Carole Janson created this gorgeous canvas, using Carolee Creations Springtime Moments Collection patterned papers and coordinating stickers. She made it for her daughter Sarah's room because she loved this photo of her brother in the flower beds. It sits on her bed side table in her room and she loves it. 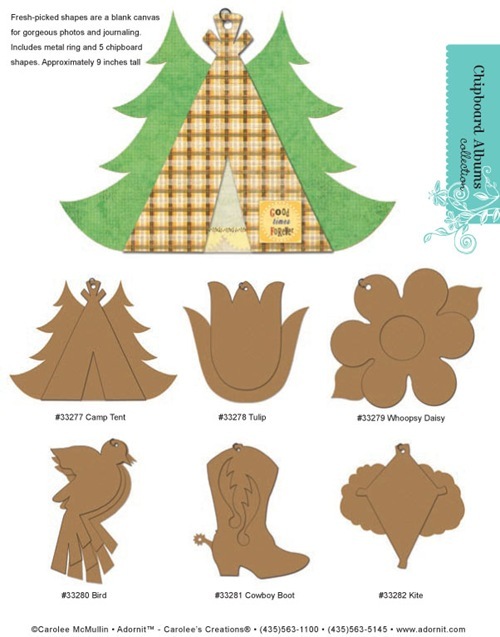 The little bird was an added touch just by drawing onto pattern paper and cutting out, and added a couple of rub-ons for the tail and head feathers. Carole's daughter took this photo of herself, and Carole just loved it, though she was struck by how grown up she looked all of a sudden. 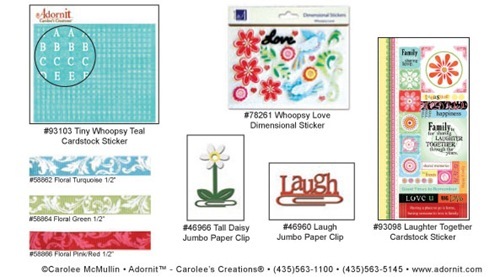 Carole wanted to use it on a fun and pretty page and the Carolee's Creation Whoopsy Daisy patterned papers were perfect. 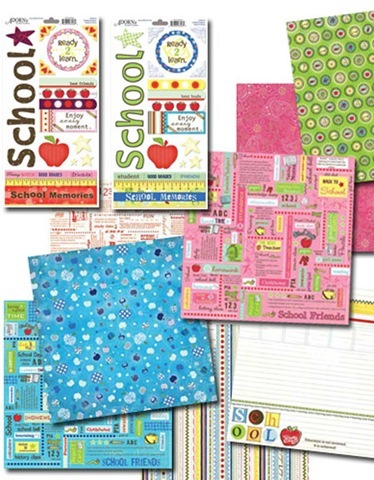 The colours of these papers and stickers are really strong but subtle and perfect for scrapping. 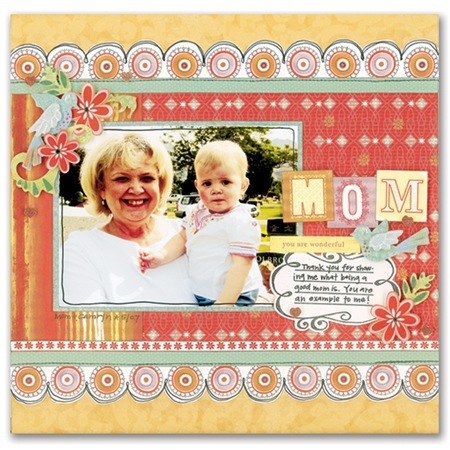 Carole cut out the flowers for added dimension, and applied a few rub-ons added for detail. 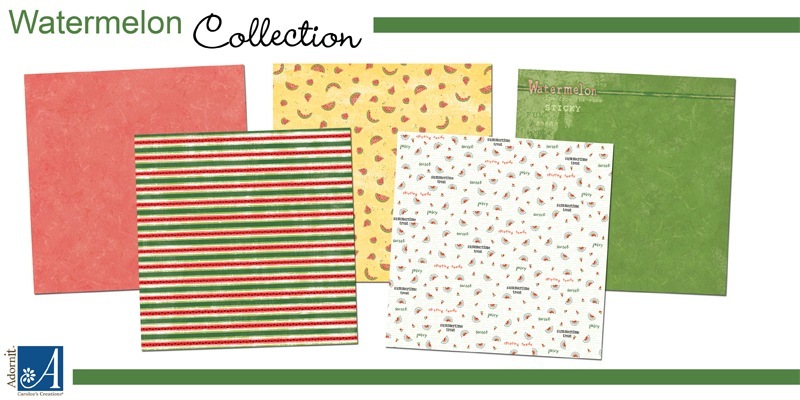 The new sports style patterned papers by Carolee's Creations include a range of soccer papers that are sure to please. 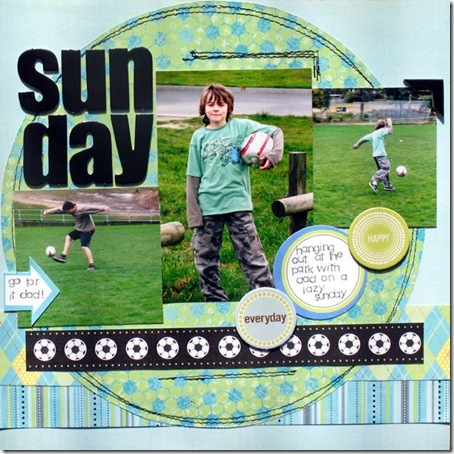 Mel has used Soccer Block, Grass Stains, Summer Argyle and Game Stripe to scrapbook some casual Sunday photos taken at the park. 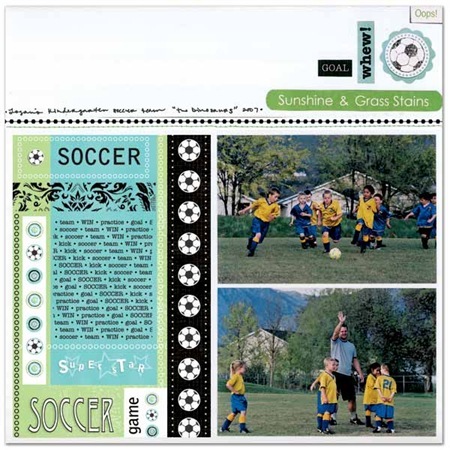 A large circle has been positioned as the main backdrop of the page (to represent a soccer ball) and machine stitched into position using some black cotton. The colours in the range are soft, light and perfect for helping to highglight those sporting photos. As Caz's daughter has trouble telling the time in both analogue and digital she decided to make a mini clock album with movable hands for her to practice on. She also has trouble with the concept of time as in 'what do we do at 8:45am? what time is lunchtime?' 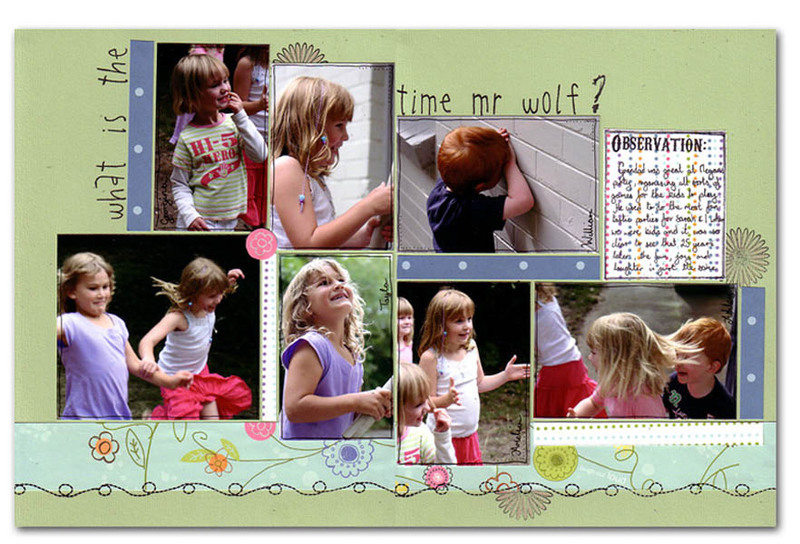 so Caz put a different activity of their day on each page with the digital time that it occurs. 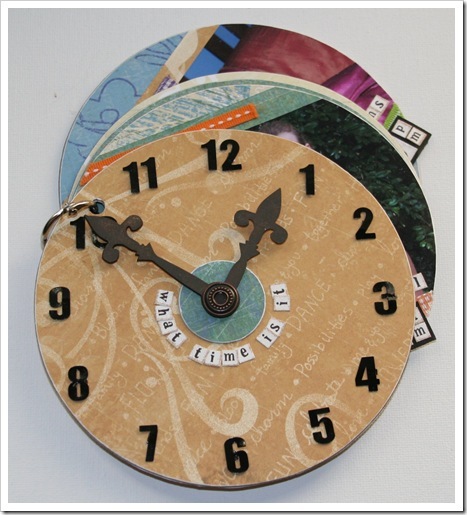 This fabulous clock mini album from Carolee's comes with 5 pages, pre-cut hands and the hinged ring and would make a great learning device or indeed any album that has the word or theme of 'time' in it. The Carolee's metal number brads give the cover some added dimension. 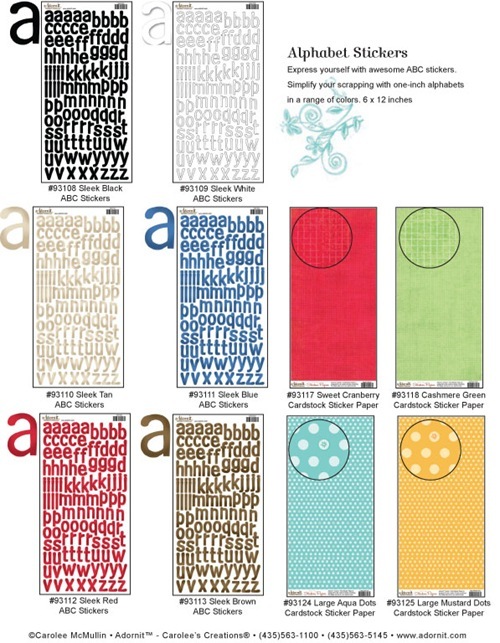 The Carolee's Tiny etched alpha stickers make journaling a breeze, you get so many of each letter and they are a great size. 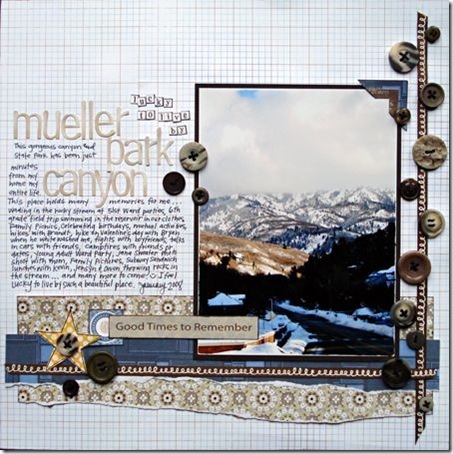 We would like to say a special thank-you to Jana Eubank from Utah for allowing us to share with you these 4 fabulous layouts using a mix of Caroless papers, stickers, rubber stamps and embellishments. 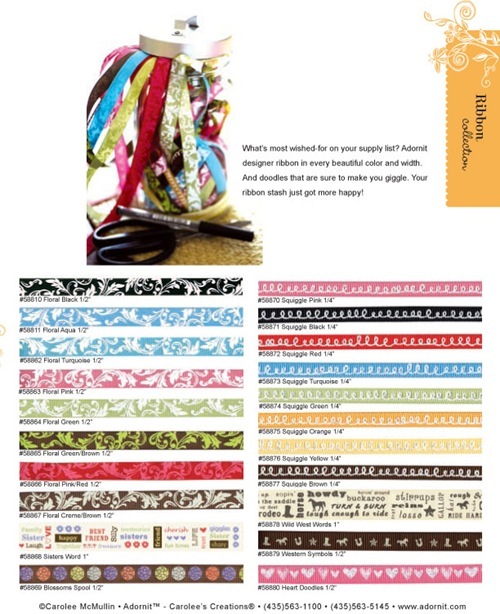 We love Jana's groovy style and eye for detail. There is always so much to look at on her pages but the embellishments never seem to take away from the photo or the story. Just gorgeous! Sandra Gerdes, created both of these very stunning layouts, with lots of colours and gorgeous embellishments. 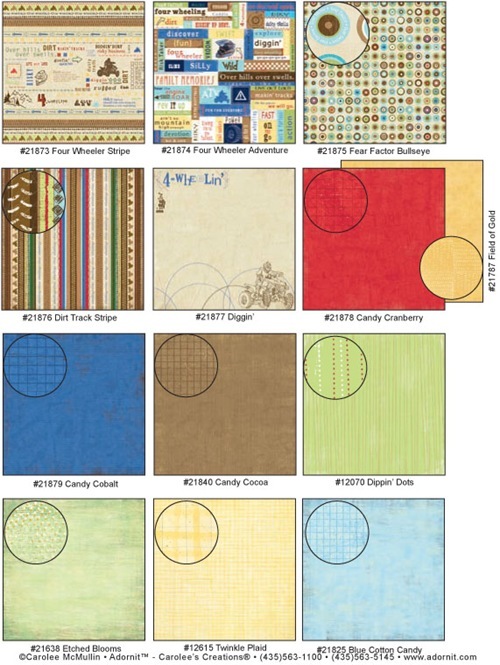 We loved the striking combination of the blue and brown in the first one and the delicious paper pieced house is delightful. 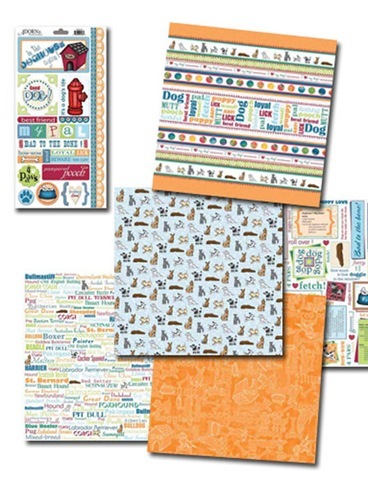 Carolee's Creations have patterned paper ranges to suit almost every occasion - including papers that celebrate our pets, as Sandra has shown in her second layout. 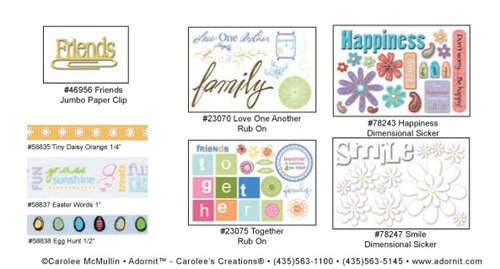 Finally, we thank Carolee's Creations design team for allowing us to share this amazing array of layouts with you. 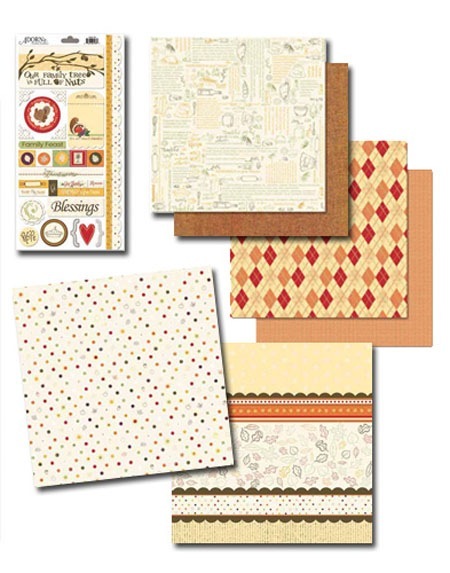 The versatility and multitude of different looks and themes that can be created with Carolee's papers and embellishments makes it easy to understand why their papers are so popular. 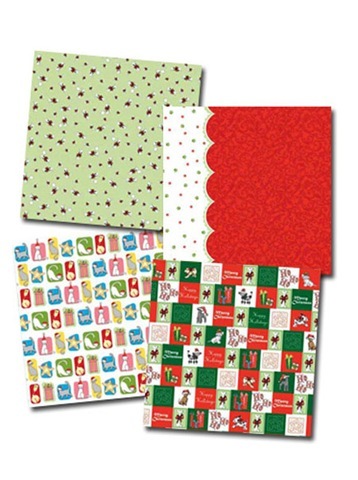 this release carolee's remembers the pets with doggone cute, purrfect kitty and even a pet christmas collection. There's also the usual suspects - halloween, autumn, school and christmas and family - all lovely and understated as we've come to expect from carolee's. 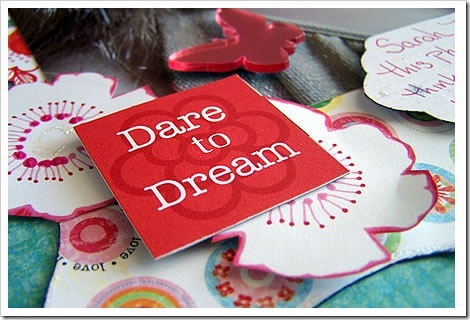 In the meantime, here's some weekend inspiration brought to you by our design team and Carolee's Creations. If you like the look of these products, leave a comment on this post and we'll send out a small sample pack to one lucky reader. 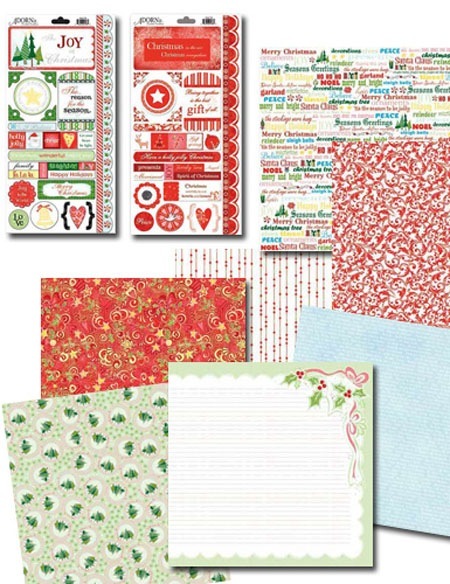 After recently finishing the heritage challenge Chris found that the Carolee's Creations Timeless range of papers would be perfect for another heritage photo she discovered whilst going through her Mum's old albums. 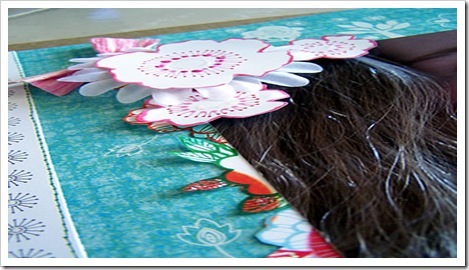 She adored the 'buds' paper and decided that she would use a craft knife to cut around the design in the bottom left hand corner of the paper and gently place her photo underneath. The rest of the layout just fell together with the foam alpha stickers and cardstock stickers finishing off the creation nicely. 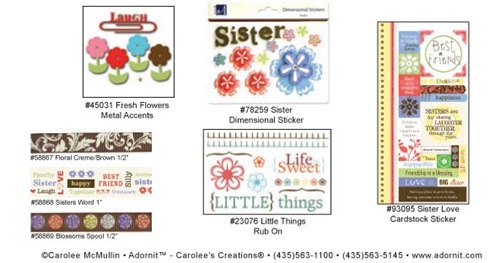 Chris feels that the Carolee's Creations Timeless range have a dramatic, striking design to them and decided to put together a set of sympathy cards from the products left over from doing the layout. 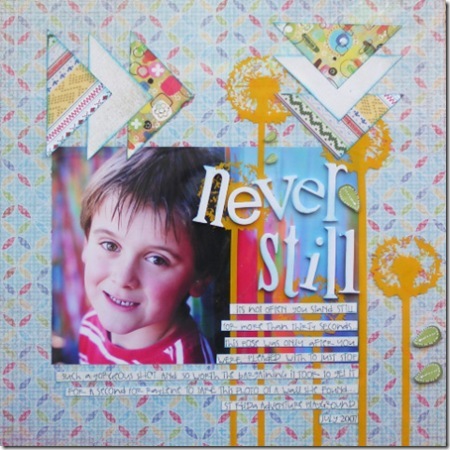 Suz used the "Glamour" range on this fabulous photo of fellow scrapper Kylie Fenner's gorgeous lookin' son! She combined it with Hambly to produce a bright vibrant page full of colour and movement. Photography by Raylene Wilkinson. Carolee's are regularly expanding their range and one of the newest additions are these foam alphas - we love the dimension of them. 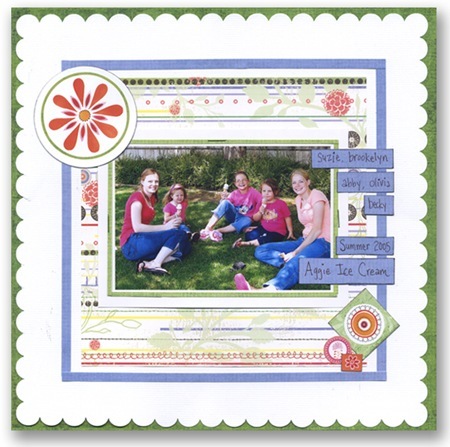 Lynn Whelan has created this fun and colourful layout from the Carolee's Creations picnic range. Thank you Lynn for sharing your work with us! 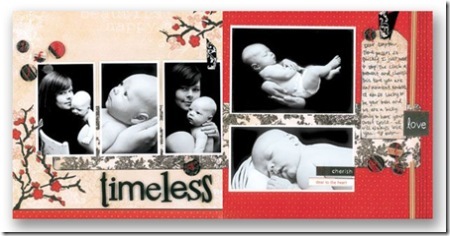 Georgana Hall has used these stunning black and white photos so beautifully against the Carolee's Creations 'timeless' papers. 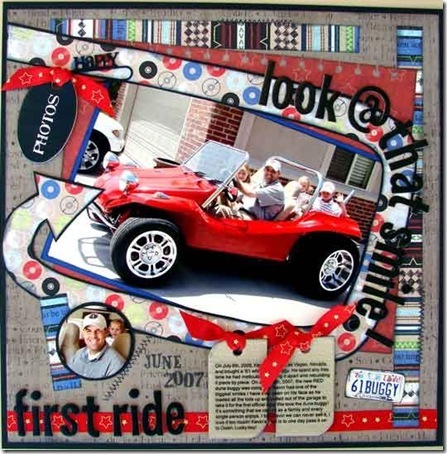 Thank you Georgana for allowing us to display your precious layout. 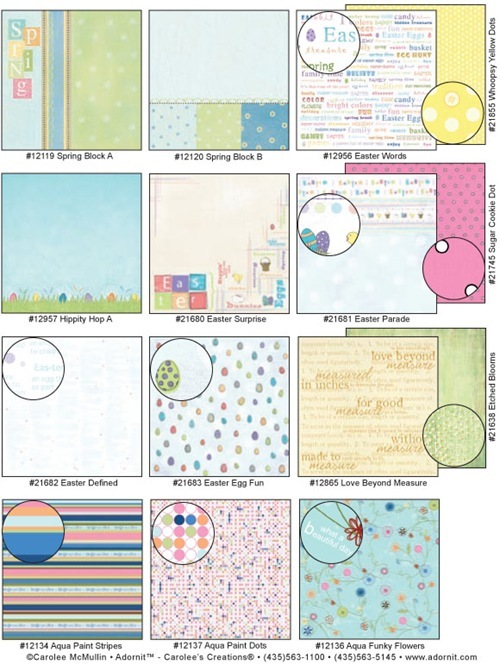 And check out these two gorgeous layouts from Suz Doyle. 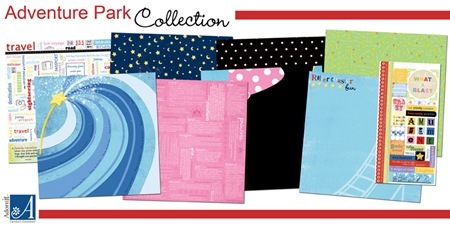 You may have seen these in For Keeps for the Everyday competition, but we hadn't shared them here. 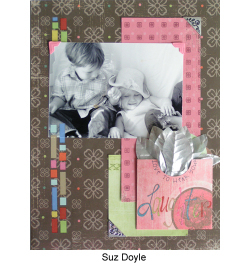 Carolee's papers work well within Suz's 'gelato' colour palette, and she loves the soft colour stories and subtle designs. 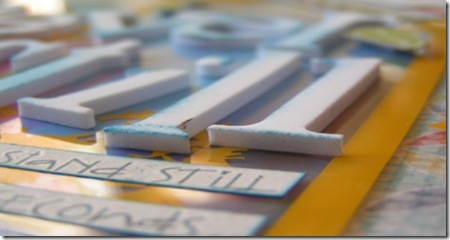 Check out also the old favourites in the first layout - the twill letters - they work so well reinforcing a 'wintry' theme. 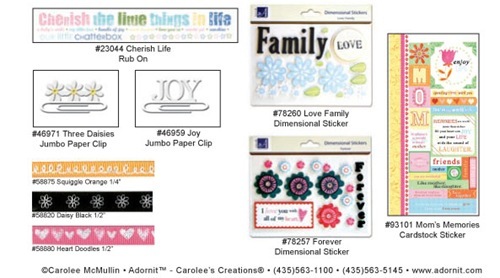 This weekend's inspiration is from Carolee's Creations. Gorgeous, mostly softly coloured papers which let your photos easily keep the focus on your scrapbook pages, Carolee's Creations papers are light weight, easy to work with and softly inspiring. 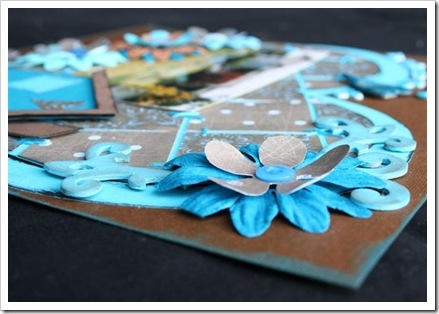 We officially welcome Chris Millar to our Aussie Scrap Source Design Team with this stunning layout. Chris's daughter recently had a trip to the orthodontist during school hours. 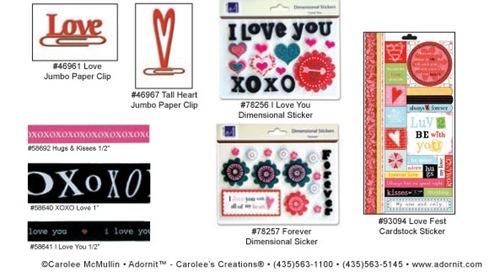 The blues in her daughters uniform has been complemented beautifully by the Carolee's Creations 'love bug collection'. 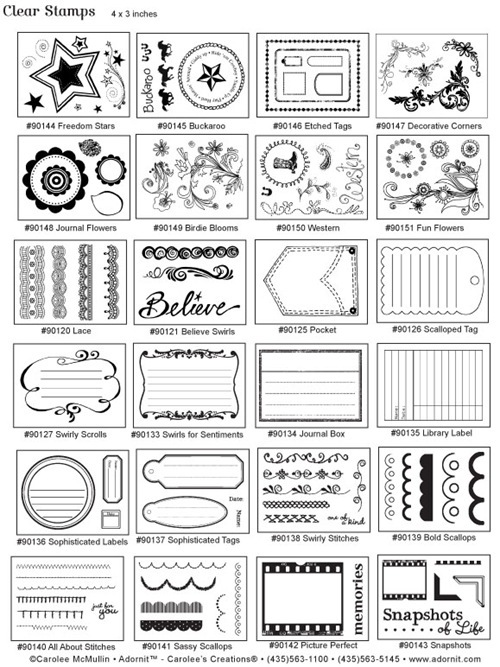 Chris has also used the Carolee's Creations 'stick em clear' rubber label stamps to house the journalling for this page. 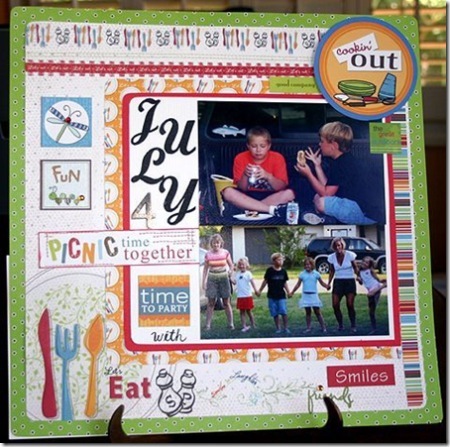 Rach wanted to include all the fun photos that made this party game such fun on the one layout, so that meant careful placement of embellishments and papers to not overwhelm the pictures. 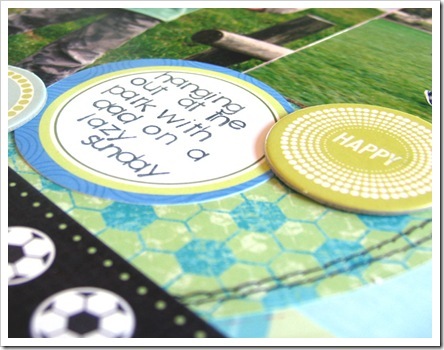 The green background grounds the photos as a number of them also have green in them, and she then layered with a touch of blue and the bright birthday sprinkles paper to tone it all together. Suz Doyle has a pigeon pair and is one of a pigeon pair, so these "Sisters" papers sat about until she took this shot of the stunning daughters of family friends and knew that these papers would be perfect for it, even down to picking up the gorgeous auburn tones in Mia's hair. 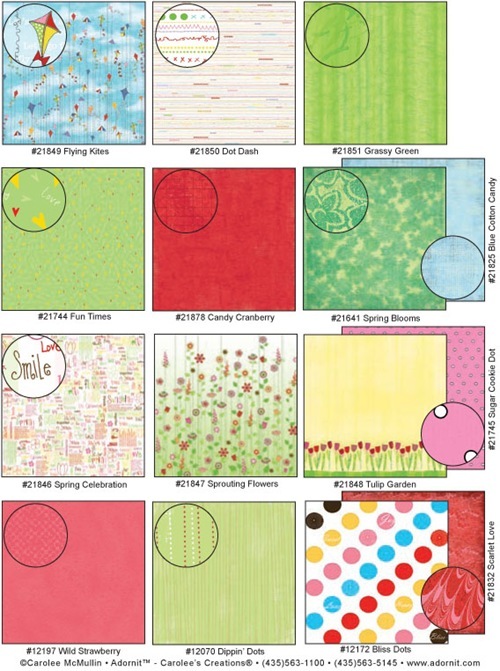 She's teamed it with some Queen & Co Hottie, Junkitz Flowerz and Scenic Route Rubons to make a simple but beautiful page. 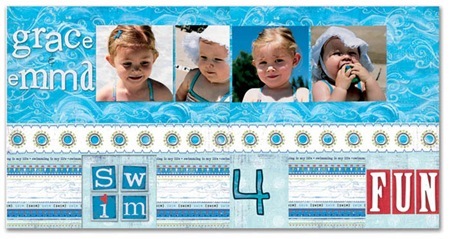 We have the extraordinarily talented Heather Mickey to thank for the above three layouts. Apart from the stunning photography, she's blown us away with her use of Carolee's products. 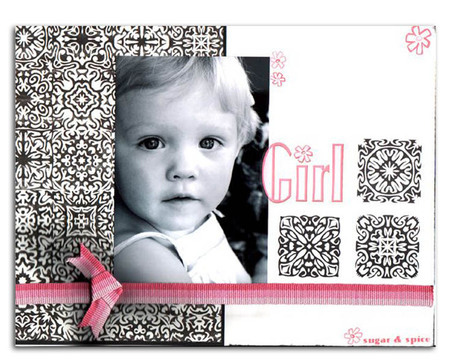 In Girl, Heather has made use of the Flea Market line, using rubons, patterned paper and title all from the Flea Market line. The monochrome palette combined with just the hint of pink is wonderful. Great boy colours and colour blocking in "Tough " and Heather describes "Precious" as a super quick layout but we think its super fabulous. Layout by Celia King - Celia has used the Big Smiles line - the colour palette in these papers is simple and restful, and Celia has cleverly combined it with the subtle but effective detail of the Family rubons and Heidi Bling for a beautiful result. 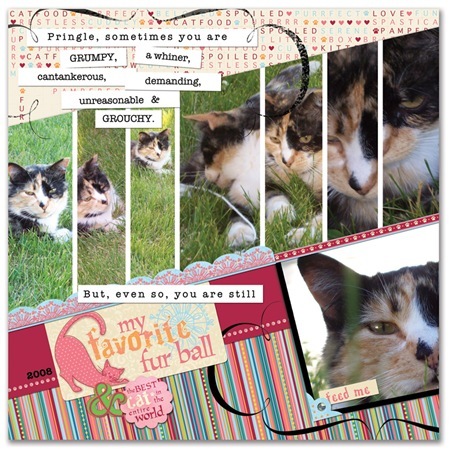 Finally, we thank Danielle Calhoun for this wonderful layout. 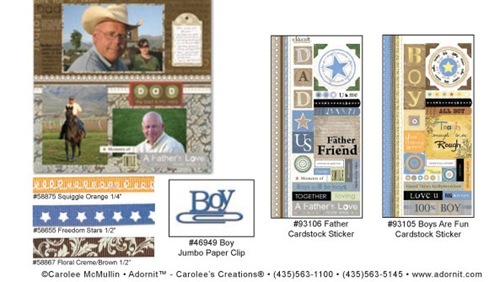 Danielle has used Carolee's Creations paper from the family collection. 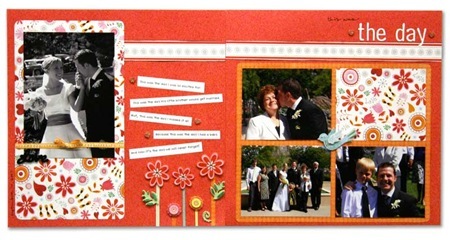 She has also used Carolee's ribbons and clear stamps (journaling block & stitching on side of photo). 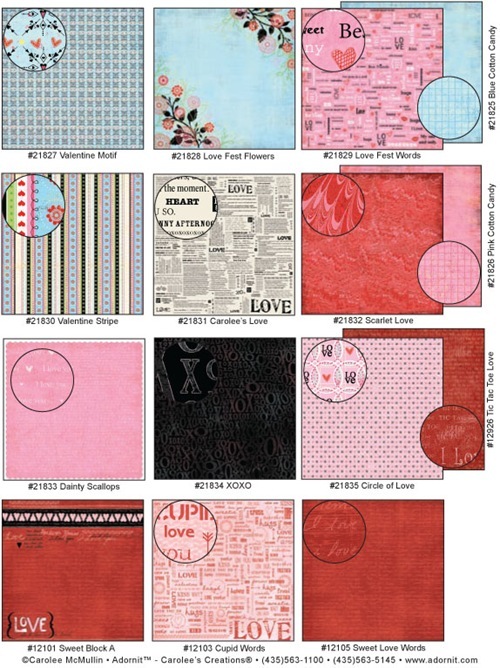 We leave you at the end of this week with some layouts created using Carolees Creations papers, rub ons, stamps, stickers, twill letters and ribbon.